Cheer Bows are not just for cheerleaders! 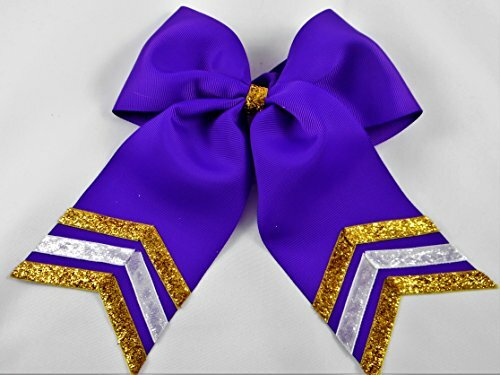 We have custom made many Cheer style bows for sports teams -- Volleyball, Softball, Lacrosse, Field Hockey, etc. Bows are made with glitter ribbon accents on the ends and in the middle of the bow. Approximately 7 inches wide, made with 3" wide ribbon. Attached on Ponytail holders. Purple is difficult to photograph. It is a true purple color. If you have any questions about this product by Missy Moo Designs, contact us by completing and submitting the form below. If you are looking for a specif part number, please include it with your message.